Welcome back for episode No. 14 of The “Jose Luiz Morales Show”! We’re happy to be joined today by Jeff Murphy from Chicago Title. Jeff is here to help us gain a better understanding of the different ways in which you can hold title to your property. If you have any questions related to real estate or about what we covered in episode No. 14 today, please get in touch with me. I’d love to hear from you! I’m joined today by Scott Keighley, the owner of Cal Termite, who will be sharing with us some great information about California’s required termite inspections. 03:29— What happens in a termite inspection? 05:31— What are the signs of subterranean termites? 08:47— Section 1 & 2 termites: What do they mean? 10:30— How are termites treated? 13:10— What are the costs involved? 15:22— What’s the best option for treating wood? 19:58— How does it work for condos? 20:41— Does termite work come with a guarantee? I’d like to thank Scott for taking the time to speak with me today. Feel free to visit the Cal Termite website at www.caltermite.com. And if you have any real estate questions or need further information, reach out to me. I look forward to hearing from you soon. Who Pays an Agent’s Commission Fee—the Buyer or the Seller? In a real estate transaction, who pays the agent's commission fees? This is another question I get asked a lot. The answer is the seller typically pays both their agent’s commission fee and that of the buyer’s agent. In California, the usual commission fee is 5% to 7% of the sale price. This gets paid out once the transaction closes—there is no upfront fee. This means if you’re a buyer, your agent’s services essentially come for free. Outside of that, you’ll pay the same costs that come with a home sale that the seller does (escrow and title fees, the transfer tax, etc. ), but you’ll also have to pay the closing costs of the transaction. If you have any more questions about who pays for what in a real estate transaction or you have any other real estate needs I can help you with, don’t hesitate to reach out to me. I’d be happy to speak with you. When I first began dealing with flipped properties, I found it difficult to find hard money lenders. The problem was actually that I didn’t entirely understand the process; a hard money loan has a specific purpose, and if you structure it correctly, there are investment opportunities to be had. I’m joined today by Chris Powell of Commercial Loan Express, who will be helping us better understand hard money loans and how to use them. (02:16)— How can people benefit from these loans? (06:54)— How much does someone need in a down payment while flipping? (13:13)— What types of loans does Chris handle? I’d like to thank Chris for joining me for this discussion. You can visit his website at www.CommercialLoanExpress.com. If you’d like to talk about your real estate needs, have any questions, or need more information, feel free to reach out to me. I look forward to hearing from you soon. What Can You Expect From the Future of Our Real Estate Market? Today we’re very excited to bring you a quick Ventura County real estate market update and to answer the question “Is the Ventura County real estate market going to crash?” among others. 0:50- A quick recap of the 2018 Ventura County market and how it compares to years past. 2:55- How our current market cycle compares to the most recent one. 4:00- How inventory and demand play a huge role in the health of our Ventura County real estate market. 5:30- A closer look at the current inventory levels and how they compare to what we’ve seen in the past. 7:40- Camarillo’s latest and past inventory numbers. 8:25- Oxnard’s latest and past inventory numbers. 9:50- Simi Valley’s latest and past inventory numbers. 10:45- A few parting thoughts about what to expect for the Ventura County market in the future. If you have any questions for us or would like some more information on what’s going on in your specific neighborhood, don’t hesitate to give me a call or send me an email. I look forward to hearing from you soon. If we take a look at Ventura County as a whole, in December 2018, we had 2,491 listings; last year, we had 2,179 listings. That means inventory in Ventura County increased 14%. Pending listings for this December have been counted at 465, whereas last year, there were 618 pending listings—this is a 24% drop year over year. Additionally, the median home price in Ventura Country dropped from $599,000 last year to $585,000 this year—a 2% decrease. Oxnard: Here, there was a 10% increase in inventory and a 17% decrease in demand year over year. The change in inventory and demand in Oxnard wasn’t as high as Ventura County as a whole, but the median home price dropped from $530,000 last year to $506,000, constituting a 4% drop. Camarillo: Inventory in Camarillo increased by 37%, going from 354 properties last December to 391 this year, and pending listings decreased by 22%. The median home price went from $613,000 last year to $575,000—roughly a 6% drop. Simi Valley: Inventory increased by 26%, and pendings dropped 32%. For these markets, we’re noticing the same trends: Inventory is increasing and demand is decreasing. This is creating a gap in the marketplace that's leading to frustration for some homeowners, as homes are staying on the market a little longer than they used to. For Ventura County as a whole, there are 247 active homes, which is a drop from last year’s 280. So here, inventory actually decreased 11%. Here’s the catch: Just like the individual cities, demand in Ventura County also decreased by 26%, going from 95 pendings in December 2017 to 70 pendings in December 2018. Unlike some of the individual markets, however, the median price actually went up by 7%. In a nutshell, inventory has grown overall in most of the cities in Ventura County, and demand has decreased, causing downward pressure because there are fewer buyers and more competition for homes. If you are looking to find out what is going on in your specific area market, reach out to us. I’ve got the stats for every single city and we’re happy to share those numbers with you with no obligations attached. I’m here to help. I just wanted to take a moment to say thank you to all of you for your support in 2018. It’s been another record-breaking year for The Morales Group and we wanted to thank you from the bottom of our hearts. We’re really grateful to have such great supporters and we hope that all of your holiday wishes come true. To all of our friends, clients, family, and neighbors, we wish you the best this holiday season and in the new year. Welcome back to the Jose Luiz Morales Show. For our ninth episode, I sat down with loan officer and Certified Divorce Lending Professional (CDLP) Denise Fontain of Provident Bank Mortgage to discuss her role in helping buyers and homeowners in the middle of a divorce handle the hiccups that can arise during their home purchase or refinancing process. 1:24 - Denise explains the difference between CDLPs and other lending professionals. 2:29 - A few of the ways divorce can impact a buyer’s or homeowner’s lending goals. 4:53 - Denise explains the coming change to alimony-related tax laws. 6:57 - The importance of contacting a loan officer early on when going through a divorce. 15:18 - Why taking yourself off the title is not the same as refinancing. 16:52 - Denise explains the gap in knowledge between family law attorneys and financial experts. 18:28 - The dangers of delaying the refinancing process during a divorce. 20:11 - The first steps Denise takes when meeting with clients. 23:02 - Denise explains why she became a CDLP. 25:04 - How equity buyouts differ from other refinancing options. 29:18 - How the age of a homeowner’s children can impact their ability to refinance. 31:56 - What happens when homeowners or buyers fail to connect with a CDLP. 35:25 - How to contact Denise. As always, if you have any other questions or would like more information, feel free to give us a call or send us an email. We look forward to hearing from you soon. What is the difference between working with an individual real estate professional and working with an entire team of them? I recently went on a listing appointment where the seller told me they had already spoken to another agent. This agent, who was working without a team, told the seller it would be best to work with him because he was a "one-man team." After hearing this, I explained to the client that although that sounds great in theory, it’s actually in his best interest to work with a team as opposed to a singular agent. There are multiple reasons why this is true. If you work with an individual agent and a potential buyer calls in for a showing on your home, but the agent is in a meeting—who’s going to take that phone call? No one; that agent simply can’t show the property at that time. This presents a similar issue when the agent is also working with other clients: If one or more of those clients have time-sensitive issues in their own transactions, is the agent going to be able to help each client quickly and effectively? Not likely. When you work with a team of agents, someone is always available to serve a client’s needs. If a client were to call me while I was in a meeting, there would still be someone there to answer their questions and point them in the direction they need to go. If someone called in about wanting to view a property while I was in a meeting, the call would be rerouted to at least three other agents who could assist that client and show the property. If you work with an individual agent and a potential buyer calls in for a showing on your home, but the agent is in a meeting—who’s going to take that phone call? Further still, each team member has a specific role. For example, we have a listing coordinator whose job is to schedule all listing appointments and to ensure that all the marketing for a property is completed. She also requests feedback from the buyers’ agents after every single showing. Our closing coordinator makes sure that every single item on the timeline between escrow and closing is taken care of. 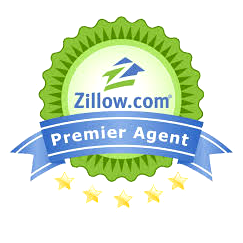 Our buyer’s agents are dedicated to answering all of our sign calls, showing properties, and arranging open houses. My job—my only job—is to make sure the property gets sold. Can an individual agent do all that by themselves? I think you know the answer. When it comes to hiring a real estate professional to assist with your transaction, I highly recommend that you consider the many benefits of working with a team. For any questions you have about buying or selling property, always feel free to reach out to the top agent in Southern California. I would be glad to help you. Today, I have an update on the Southern California real estate market. How are trends looking for homebuyers and sellers? Let’s take a look. There’s been a lot of discussion lately about what kind of market we’re in. Many people are saying that it’s slowing down, with some even stating that the marketplace is crashing. What do I do when I want to know what’s really going on? I look at the numbers myself, especially at the number of homes available for sale and the number sold each month. If we take data from February to now in October, inventory has grown in most Ventura County cities. This means there are more properties available for sale that buyers can choose from. Demand has stayed fairly strong, except for a slower month in July. The only difference now is that, because there are more homes to choose from, the number of days a home is on the market is increasing. In some cases, this leads to more negotiation on a home’s price, which is again due to the number of options for homebuyers. Before, when we were in more of a seller’s market, buyers didn’t have this same amount of choice. They had to either buy or wait. But now, most cities in Ventura County have seen an increase in inventory anywhere from 20% to 42%. Now is the time to price our homes competitively. For example, Camarillo’s inventory has grown 32%, going from 218 properties for sale to 324 since February. Oxnard has grown 26% from 302 to 410. Simi Valley increased 42% from 251 to 438, Thousand Oaks has grown 36%, and Ventura has grown 33%. Our area’s inventory has grown tremendously, but this doesn’t mean the marketplace is crashing. Demand is still strong, but the market has just flattened out somewhat because buyers have more choices. We’re seeing multiple offers on well-priced listings, so it’s still a good time to sell. However, now would probably not be the best time to test the waters at higher prices. Now is the time to price our homes competitively. If you have any questions about our market or need more information, my cell number is (805)-228-4672—I’d be more than happy to help. I look forward to speaking with you.